What you may not be aware of is that Juliet Simms is owner of a vow bracelet company called Never Take It Off. 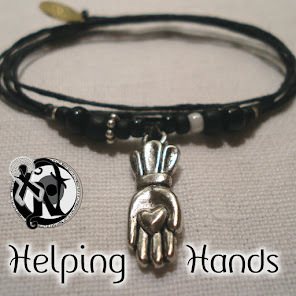 Helping Hands Rock Reviews is proud to announce a brand new partnership with Juliet and Never Take It Off. 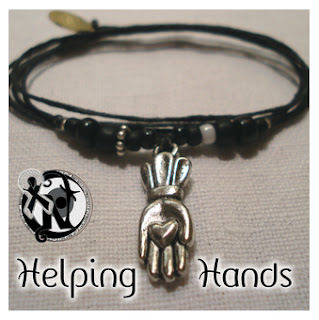 This partnership will allow you to get your hands on some amazing and inspirational jewelry while, through Juliet’s generous support, you will also help the charities that Helping Hands Rock Reviews endorses. Juliet has one of the biggest hearts of anyone out there in the music industry today. This exclusive interview we did with her will expose you to the love she has for her fans and charitable causes. 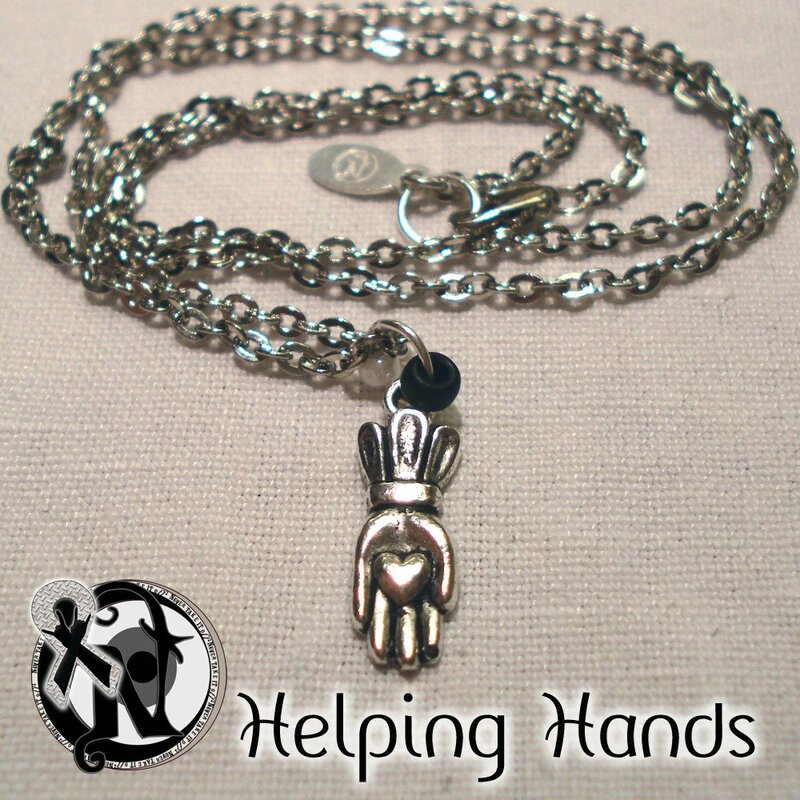 At the end of the interview, we’ll tell you more about the Helping Hands line of Never Take It Off jewelry and how you can get your pieces! HHRR: You did the Vans Warped tour this summer, how was that and what are you up to musically at the moment? Juliet Simms: Warped is always like big summer camp vacation with my HUGE family. It was especially great connecting with the fans this year because I played mainly acoustic…it was intimate. I’m writing right now. A lot. HHRR: In addition to your musical pursuits you also have a jewelry company, Never Take It Off. How and when did that get started and what’s it all about? Juliet Simms: We started before the 2011 Warped Tour. I wanted to have something special for these amazing loyal fans that keep coming back to support me. I wanted to give them something to help their dreams along too. I took them out and tied literally thousands of them onto my fans. HHRR: What is your favorite piece in the collection and what is the story behind it? Juliet Simms: I have so many favorites…I wear Protect My Heart, Metamorphosis, Poison Ivy… Protect the Innocent from Andy’s line…but I think the Black Ink Revenge ink vial necklace is amazing. That one was created to represent of a song of mine. HHRR: Your boyfriend Andy Biersack of Black Veil Brides also has his own NTIO line. Can you tell us how he got involved and what inspires his ideas for the pieces? Juliet Simms: Under all that dark prince rebel incredibly handsome man persona, Andy has this amazing huge big heart. His pieces reflect both but are all really about inspiration…Be Your Own Hero, Protect the Innocent, I Wont Bleed, Heart from Soul…are all about inspiring his fans. He named and helped design all of them…except “He Owns My Heart”…The girls in the office came up with that one…te he. HHRR: What kind of feedback do you get from your customers who have purchased pieces from the NTIO collection? Juliet Simms: This is the really important question. This is what keeps it all going. You could cry reading the thank you's from the fans…from all over the world…I HAVE cried on tour while girls turned in their razor blades to me and showed me their “Love Not Cuts” bracelets vowing not to hurt themselves…or promising me they would never give up on their dreams. The feedback is overwhelming…we get hundreds of photos per month of arms and necks. HHRR: As we near the end of the year, where do you see NTIO and your music career going in 2014? Juliet Simms: NTIO is now beginning to support other artists and a lot more causes. We just released a line with Spencer Chamberlain of Underoath for his new project – “Sleepwave” and have several more artists to release this year. I'm not sure I can let the cat out of the bag yet, but a major huge multi-band festival tour is going to be carrying them next summer…not saying which one. ;) We have this awesome Halloween Mystic line going with glow in the dark glass vial necklaces and for Self Harm Awareness Day we have a bunch of stuff coming up in November…As for me…we’ll see which way the music takes me, but I do plan to record…stay tuned. 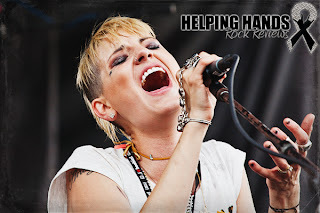 HHRR: What else would you like our readers to know about Juliet Simms and NTIO? Juliet Simms: I love you guys and so does Never Take It Off. The staff there are dedicated to you and so am I.
Juliet Simms: I Heart Boobies, Running Wild in the Night, Big Cat Rescue, Heroes on Horseback…We have done bracelet fundraisers for BCR and HoH. You guys would love HoH…they provide Equine Therapy to young people with mental, physical or emotional handicaps. I know you support Autism awareness...they work with Autistic kids every day, teaching them to ride horses. I also support horses. Here's your chance to own one of these beautiful pieces that you can feel good about wearing in many ways. Every time you purchase one of these gorgeous bracelets or necklaces, Never Take It Off will donate a portion of the sale to our two charities that we are supporting this year, ABOARD (the Advisory Board on Autism and Related Disorders) and Sage's Army (an organization dedicated to raising awareness of drug abuse). Click on the images below to find out how to purchase your very own Helping Hands jewelry from Never Take It Off.